As if night-time dominance were not enough, Leno has also succeeded in the newest entertainment arena. “Jay Leno’s Garage” of which he is a producer as well as star. 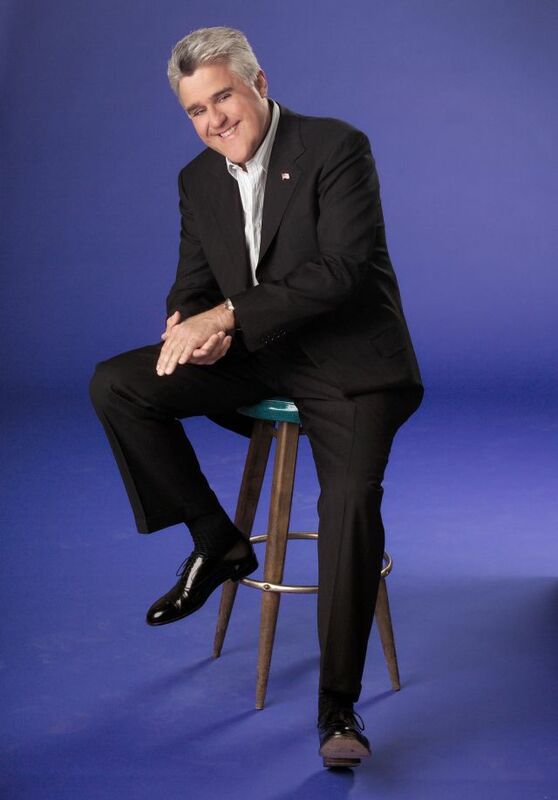 The NBC creation, which is viewed at Jaylenosgarage.com, has gained an international following on the Web, not to mention an Emmy Award and two additional nominations for Outstanding Special Class–Short-Format Nonfiction Programs. 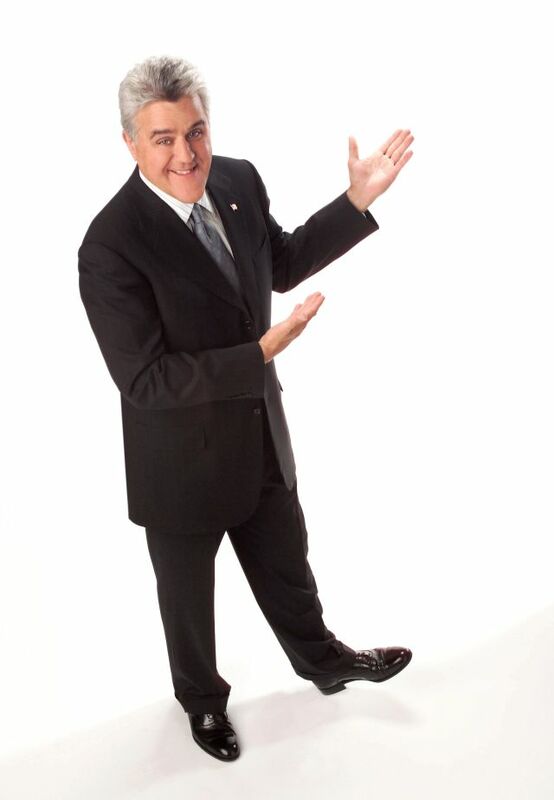 Leno, himself, is the recipient of the People’s Choice Award and other honors, including the Harris Poll selection as most popular star on television. Other personal highlights include his induction into the Academy of Television Arts and Sciences’ Broadcasting Hall of Fame, his upcoming reception of the John F. Kennedy Center for the Performing Arts’ Mark Twain Prize for American Humor, the Hasty Pudding Award at Harvard University, an honor whose sole prior comedy/talk host recipient was Johnny Carson and an honorary doctorate from his alma mater, Emerson College. Like Mr. Carson, Groucho Marx and an elite group of entertainment figures, he has been invited to have his papers installed in the Library of Congress. He also received a star on Hollywood’s Walk of Fame (asking that it be placed in front of the Ripley’s Believe It Or Not Museum since is where he was arrested for vagrancy when he first arrived in Hollywood. He also has set several land speed records and became the first person to drive the pace car of all major NASCAR events. 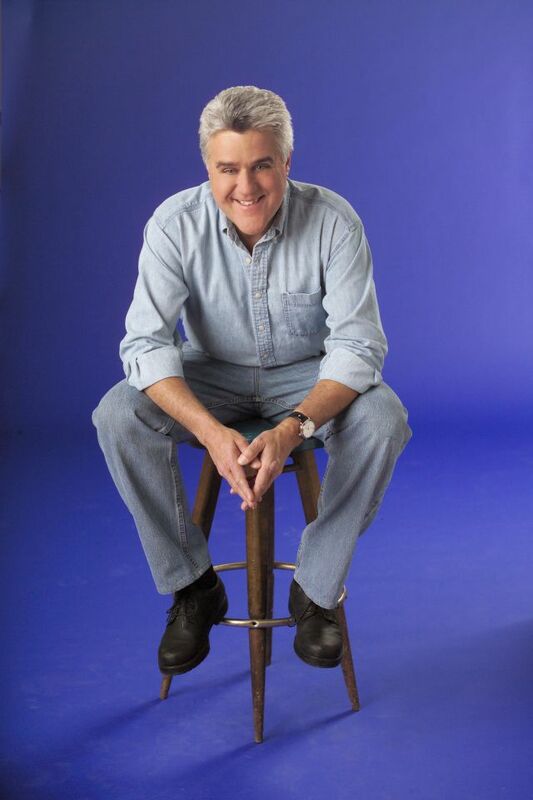 Having passed the torch of Tonight Show succession to Jimmy Fallon, Jay Leno has increased his customary busy schedule of comedy performances in top venues around the United States and occasionally abroad, continues his web venture relating to his passion for automobiles and is in consideration of the many other applications of his time and talents which have been offered or which he is personally evolving." He interrupted these pursuits to make his first trip to Israel for the honor of presenting the Genesis Award, Israel’s equivalent of the Nobel Award, to Michael Bloomberg. It was in May of 1992 when Leno followed in the footsteps of legendary NBC late-night hosts Steve Allen, Jack Paar and Johnny Carson as “Tonight Show” host. Pitted against another television superstar David Letterman in the ll:35 PM hour, Leno became the ratings leader of late night within two years and never looked back, establishing firm leadership in all demographic categories, a winning streak exceeding 50 consecutive quarters. His “everyman”-style and personality have helped him earn millions of fans worldwide, especially in the regions where people relate to his personable style and work ethic. In addition to traversing the U.S., he has entertained in various countries, including Bosnia, where he performed for military troops associated with the war in Afghanistan, and Aviano, Italy, where he performed for troops associated with the peacekeeping efforts in Bosnia. He remains passionate about performing in front of live audiences, including the military, and appears regularly in Las Vegas, on college campuses around the United States and in other venues. Moreover, he is committed to using his amalgam of talents to help those less fortunate. Each year, he serves as Master of Ceremonies and does numerous benefit performances, including shows for those whose lives were devastated by the 9/11 tragedy, the tsunami in Thailand, hurricanes in the gulf, and the severe economic downturn in Detroit. He leads the annual Love Ride in California to benefit numerous humanitarian organizations serving people with autism, muscular dystrophy, and Special Olympics, among many others. He has also served as honorary campaign chairman for several years for the Entertainment Industry Foundation, Hollywood’s charitable arm, and he has assisted the Gender Apartheid campaign led by wife Mavis together with the Feminist Majority, to free Afghan women of Taliban tyranny, an effort for which Mavis and The Feminist Majority were nominated for the Nobel Peace Prize. He is currently joining Mavis and The Feminists Majority Foundation in their effort to influence the Sultan of Brunei to rescind his decision to impose Sharia law in the country including the penalty of death by stoning for homosexuality and horrific public flogging for any woman seeking an abortion. Leno’s children’s book “If Roast Beef Could Fly” (from Simon & Schuster) hit bookstores in April 2004 and immediately was a New York Times Bestseller. His follow-up kids book “How to be the Funniest Kid In Your Class” was similarly successful. His other book, “Leading with My Chin” (from HarperCollins), hit the bookstores in 1998. He also has published four versions of “Headlines,” the compilation of books and desk calendars featuring his favorite funny newspaper headlines, and “Police Blotter,” a book with more humorous newspaper clips involving police stories (book proceeds go to various charities). 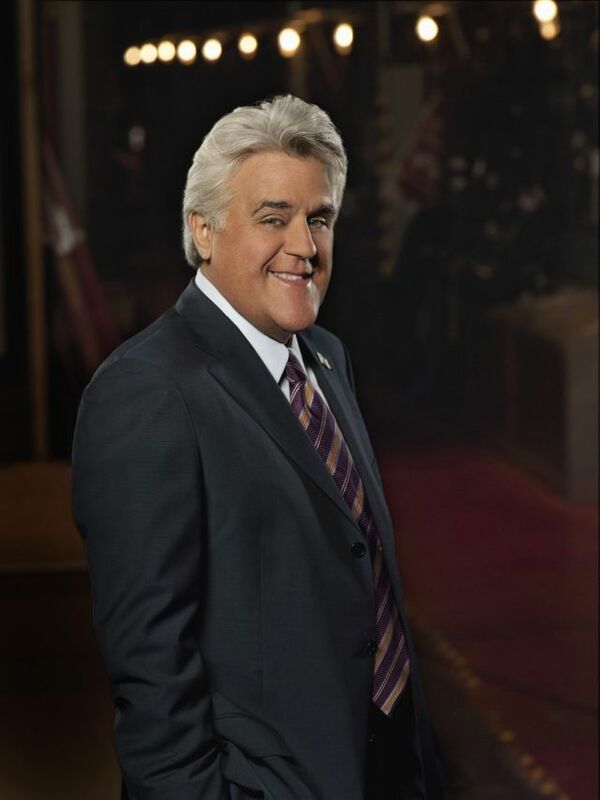 When he is not performing, writing, doing charitable work, Leno keeps busy doing voice-over work in such movies as “Cars” and “Igor” and the hit-TV show “The Fairly Oddparents” (Nickelodeon), where the character “The Crimson Chin” – a superhero with a chin with superpowers – was inspired by Leno’s own noted jawline. He also is a much-in-demand corporate speaker for companies including General Motors, and he is a monthly columnist in “Popular Mechanics.” And in his “spare” time (as if he has any), he enjoys working on his collection of classic cars and motorcycles. In fact, he has built a number of cars, including an acclaimed eco-car in his eco-friendly green garage. 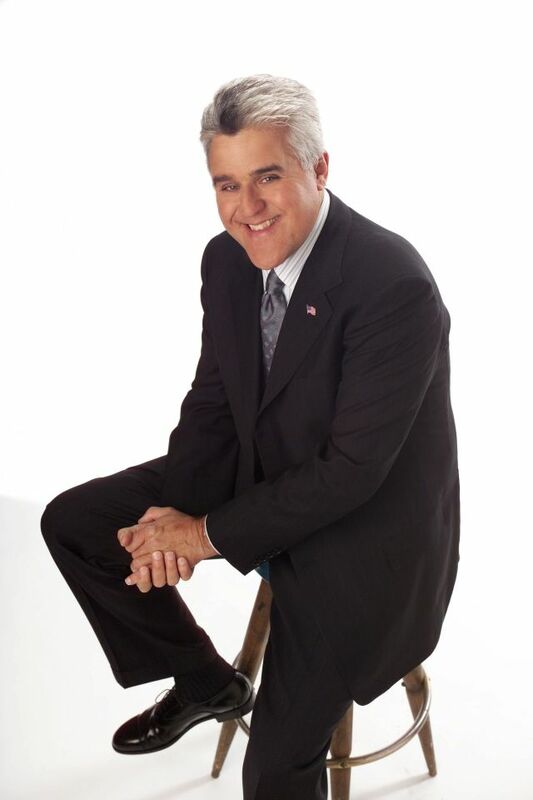 Leno was born in New Rochelle, New York, and raised in Andover, Massachusetts. He and his wife, Mavis, live in Los Angeles.